Unparalleled, Unmatched, Extraordinary. Masterfully constructed with an intelligent & purposeful design, capturing some of the most scenic waterfront views on the Island. Nestled along the glorious Broad Creek waterway... akin to an idyllic Lowcountry painting. In excess of $2.3M invested into this masterpiece by Cambridge Builders. Luxurious marble & hardwoods, 12GÇÖ ceilings, coffers, crown, built-ins, alcoves, arches, invisible speakers, bullnose corners, premium lighting, 8ft doors, etc. The kitchen is nothing short of perfection w/Fisher & Paykel, Dacor and Thermador. Plus, the fenced pool & outdoor living environment is second to none! BROAD VIEWS OF MARSH & BROAD CREEK. Custom builder's home w/highest standards of quality. Green home built using Earthcraft standards. 4 bedrooms, 4 baths & 2 half baths. Luxurious Master suite on the 1st floor. Smart home integration, sound system, media room, 4+ car garage. Incredible kitchen. Other Rooms include: dining room, living room, great room, office, bonus room/game room & theater. Large lanai w/fireplace & grill station. Large rear balcony. Some features: wood & stone flooring, columns, extensive trim work, stone fireplaces, coffered ceilings, custom cabinets, paver driveway, etc. Waterfront perfection in this fully furnished 5 brm, 5 ba, 5.062 sq foot home in the private community of Broad Pointe! 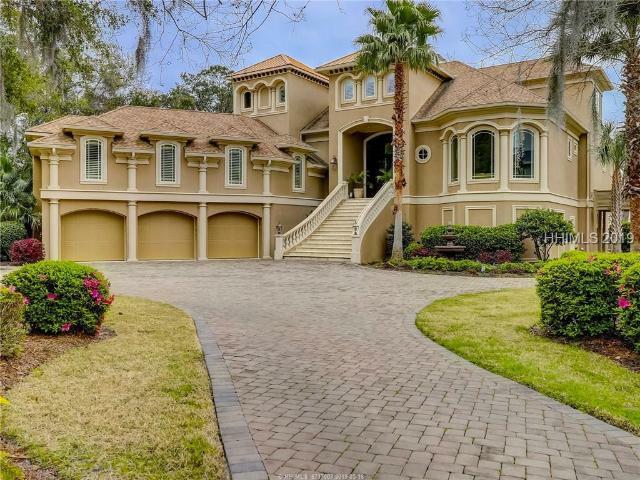 Outstanding quality both indoors and out featuring 2-story soaring ceilings at entry and living room with beautiful grand staircase.ChefGÇÖs kitchen opens to family room and incredible informal dining area with views to the water in every room. Living room has 2-story tray ceilings, gorgeous built-in cabinets, gas fireplace.Huge Master bdrm w/ sitting area and 1 guest bedroom on the 1st floor. Enjoy the outdoor oasis by your outdoor fireplace while overlooking the pool and fire pit. 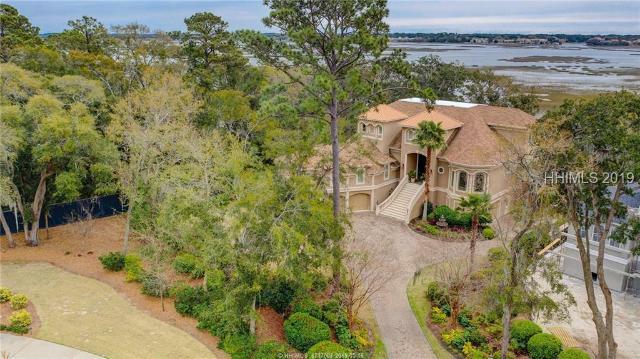 Ultimate in lowcountry lifestyle Living! Enjoy Natures beauty and watch the sun come up over the deep water and marsh views of Broad Creek. This beautiful 0.49 acre lot lies in the prestigious and private community of Broad Pointe in Indigo Run. There are 64 home sites in the Broad Pointe neighborhood. Residents have exclusive use of a 500 foot crabbing and kayaking pier that extends into Broad Creek, as well as a private swimming pool and spa which also overlooks Broad Creek. Broad Pointe residents have been known to frequently meet at the cabana on the pier to share hors d'oeuvres and fellowship while enjoying beautiful sunsets. 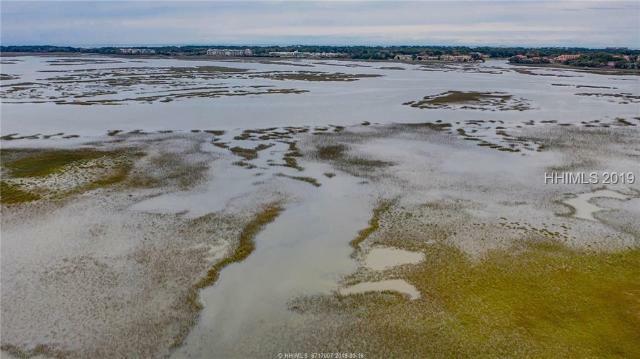 Fantastic opportunity to build your dream home on this desirable corner lot with tidal creek and marsh frontage. Currently the only corner location with marsh and tidal creek frontage for sale in Broad Pointe and the community dock and pool are just a short stroll away. Indigo Run offers two Nicklaus Golf Courses and The Golf Club of Indigo Run, one of the finest private clubs on Hilton Head Island, offers memberships for purchase. This property offers exceptional value under $200,000 in a neighborhood of magnificent custom homes! No time requirement to build but you can start planning the home of your dreams today! AWESOME VIEWS of Broad Creek marshes plus a scenic lagoon view from this property in Broad Pointe/Indigo Run! New Home Plans available from Hilton Head Island's TOP BUILDER for a beautiful custom home with 4 bedrooms, 3700 heated square feet, screened porch and 3-car garage. NO time limit or requirement to build. Broad Pointe owners have exclusive use of the Broad Pointe pool and community dock on Broad Creek, plus membership in the Indigo Run pool and tennis courts complex. Desirable eastern exposure for morning sun, cooling breezes, and breathtaking full moons! One of the few remaining homesites in the prodigious Broad Pointe community of Indigo Run. Broad Pointe offers a collection private amenities collectively rare on Hilton Head. All situated overlooking Broad Creek the private community pool, private community dock and separate kayak storage exclusively for the residents of Broad Pointe make this a neighborhood in demand. A peaceful homesite ,24 Wilers Creek backs up to an inlet from Broad Creek adding more character and privacy than most homesites in Broad Pointe. High ground with mature tress it must be seen to be appreciated. JUST REDUCED...Broad Pointe on Broad Creek has an exclusive 500' pier, private waterfront swimming pool and spa. This private enclave showcases some of the most spectacular homes within the Indigo Run community. Broad Pointe is gated and residents have access to membership at the Golden Bear golf club, junior olympic swimming pool and 6 har-tru tennis courts. Indigo Run is a financially secure community. Picnic area with changing rooms, kayak storage at dock area. Incredible sunrises and sunsets, live oaks and abundant wildlife. Only 2 lots left on Hummock! 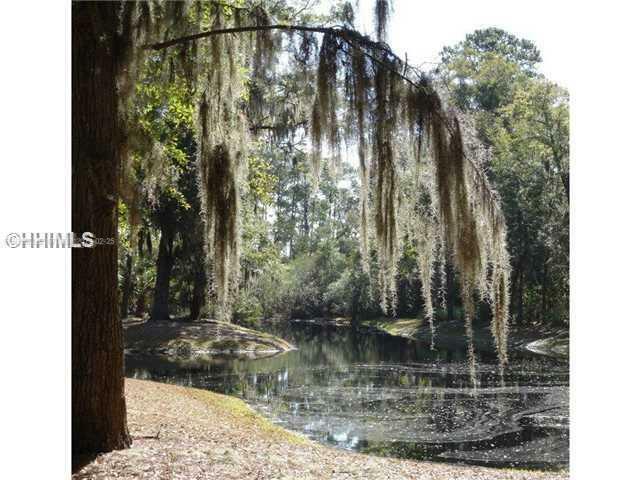 Large .35 acre lot has lagoon views. Great privacy! Don't just look at this one on the map --this homesite has tremendous character, a corner lot in one of the quietest neighborhoods in Indigo Run and one of the best kept secrets on the Island. Broad Pointe is a great water-oriented neighborhood offering the small number of its residents kayak storage, a private community dock and a quaint swimming pool overlooking Broad Creek. Lot 37 is one of the few remaining homesites in the community. Oversized as a corner lot, surrounded by mature azaleas on the left side and a picturesque lagoon in the back. The best value for a homesite of character.